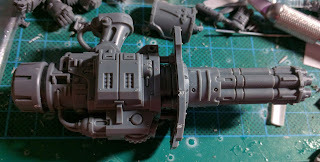 First I assembled the receiver end, or arm end of the weapon. 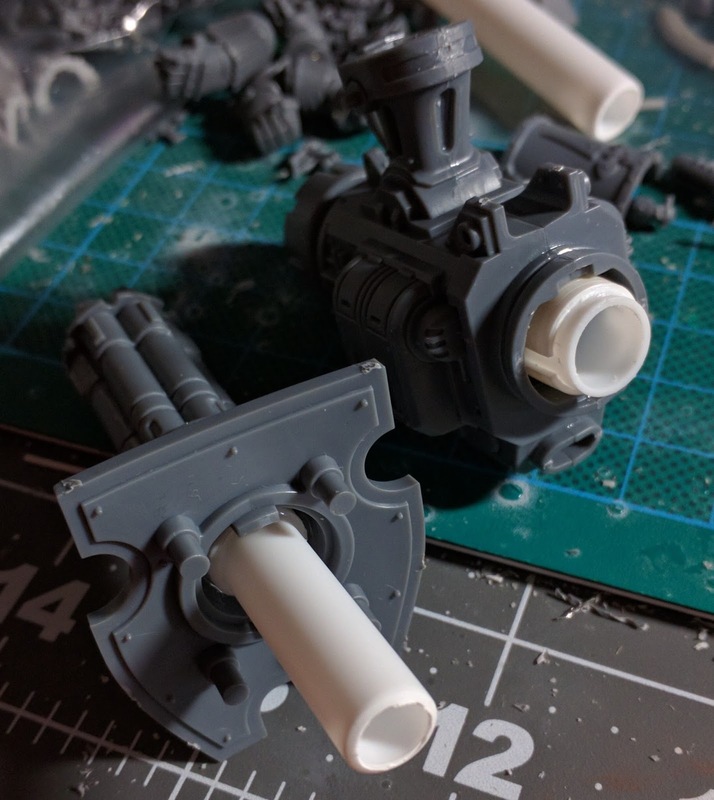 Interestingly, I inserted some styrene telescopic tubing into this side, and butted the large diameter piping up against the far rear cap (the one with the Mechanicum skull), whilst I was assembling the arm.I glued a few short pieces to the outside of the pipe to bulk it out and fit snuggly into the aperture. Next up, I initally added the smaller diameter pipe into the back of the Avenger Gatling Cannon. I found that it fit better, if I pushed some larger diameter tubing in first. The larger diameter was a tight tolerance fit, so it made it easier to centre the smaller diameter tube into this when gluing. This is what it looked like when I lined the two sides up. And this is the Cannon seated to the arm receiver. 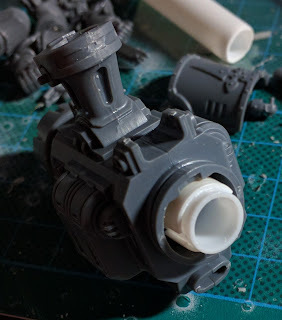 Now it's off to get cleaned, prep'd and washed, ready for painting.